Plenary Workshop "Emerging 2D Materials for Nanotechnology"
Free-standing 2D materials (graphene, CNMs, MoS2, BN, etc.) differ from thin films as they exist as isolated atomically or molecular thin sheets at some critical stages in their growth or processing, or in their device-integrated forms. They offer many features that cannot be reproduced in other materials and therefore they are of central importance to a rapidly expanding frontier in nanotechnology. The recently developed, powerful set of capabilities for the generation, handling and characterization of free-standing 2D materials, taken together with multiple important and uniquely addressable application areas spending from electronics to nanomembrane applications, provide broad avenues for expanded activities in this rapidly emerging field. The goal of this workshop it to provide a selective overview, given by the world-leading scientists, on recent advances in the field including fabrication, characterisation and applications of the emerging free-standing 2D materials and their hybrids as well as their integration with the existing technologies. 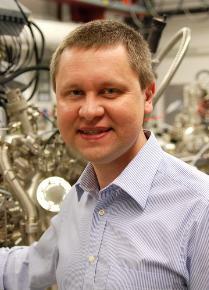 The workshop is organized by Dr. Andrey Turchanin (University of Bielefeld, Germany), who is working on the molecular based, bottom-up approaches towards novel 2D materials with functional properties.